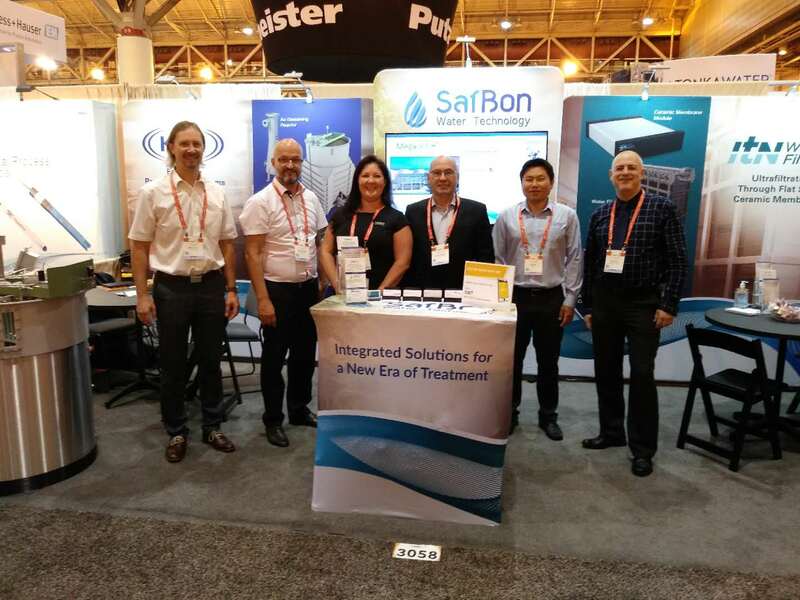 SafBon Water Technology, as part of SafBon Water Group, exhibited at the huge, 2018 WEFTEC show with their global affiliate brands, KWI International and ItN Nanovation. We had on display a DAF system and a ceramic UF tower, presented as part of our Integrated Solutions for a New Era of Treatment. The KWI DAF products can be used for both potable water treatment and industrial water/wastewater clarification and sludge thickening, mostly used in the food and beverage and pulp/paper industries. 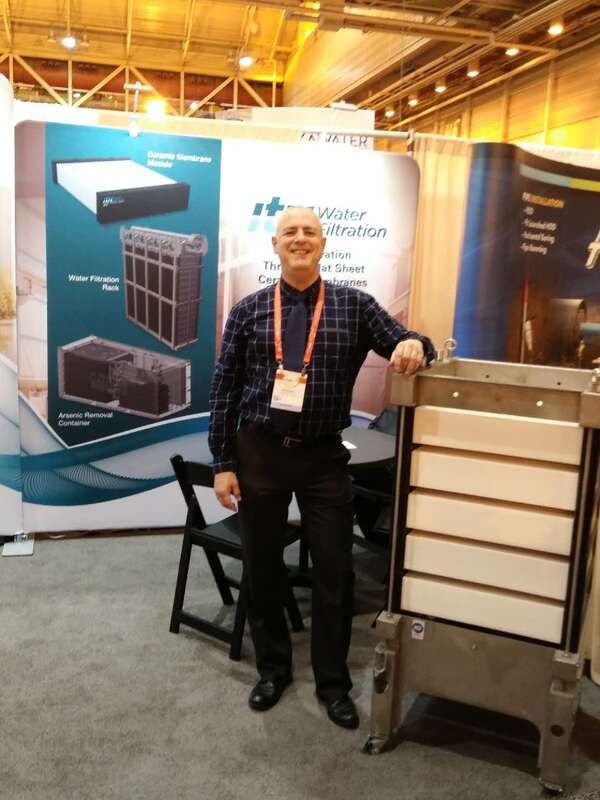 They make products that combine traditional steps of clarification and sedimentation into one compact unit to be used for potable or industrial water with high suspended solids. KWI also makes biological treatment systems; designed for cases of industrial effluent’s treatment where conventional solutions don’t apply or are insufficient. Like when primary treatment processes are not able to meet the ammonium and phosphorus limits. For the most difficult cases, KWI has the knowledge and products to produce combo treatment schemes; of physical-chemical treatment and continuous or sequential batch reactors. 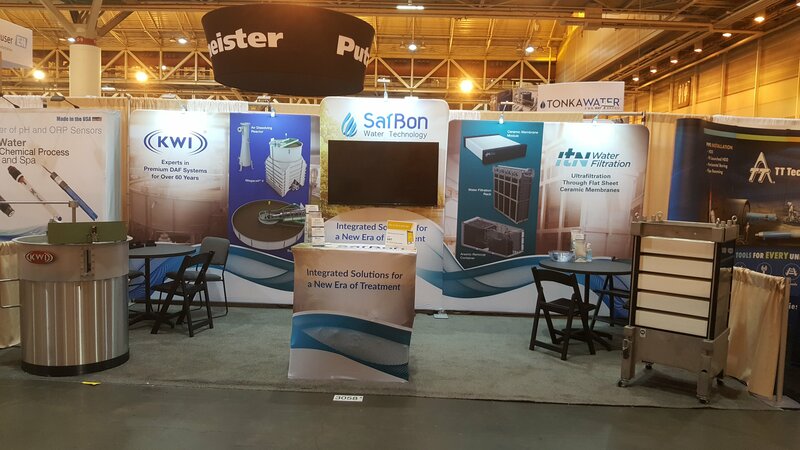 Highlighting the ItN ceramic ultrafiltration products, their CFM Systems can be used for industrial and municipal wastewater applications as well as drinking water production with a special ability to target and remove specific contaminants. 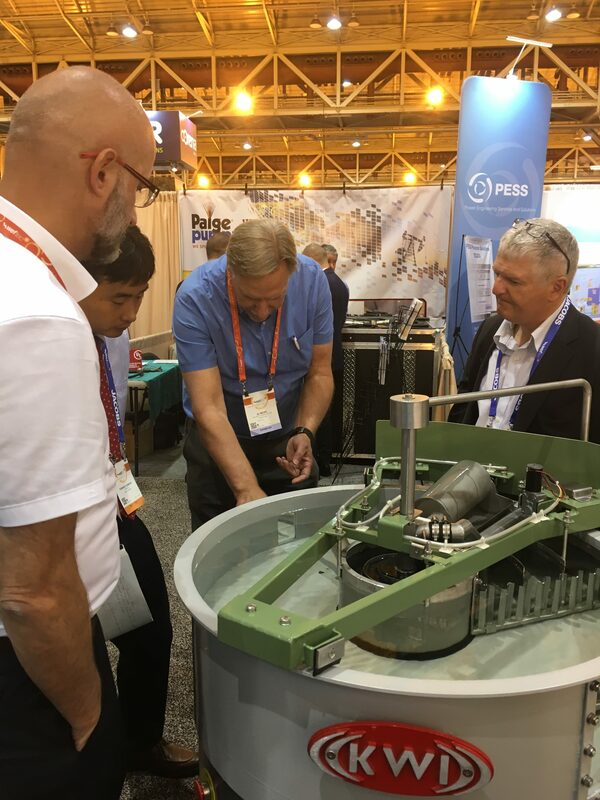 On the wastewater side, it is particularly well suited for harsh, high-temperature wastewaters, providing treatment with lower capital and operational expenses than conventional treatment. ItN also makes standalone or containerized systems for various applications, such as Moving Bed Bioreactors and arsenic removal systems. This system combines physical-chemical pretreatment with the ceramic membrane all in one container. ItN UF membranes are arranged in compact rack and tower systems that give flexible arrangements for almost any project size. They are easy to install in an existing tank or container and have a 10+ year membrane life, operating at very high flux rates. SWT has a strong 30-year history of custom engineering an integrated process to address the exact needs of our clients. There is a lot of overlap in our experience and that of KWI and ItN. We see them as integral pieces in the whole puzzle or process that we can provide. We are looking to bring them into the industries that we are strongest in such as the power and desalination sectors. SWT is able to provide all the parts of wastewater solution and tie in the DAF and ceramic UF with other treatment systems, such as reverse osmosis, deionization or condensate polishing. More information can be found on the Products section of our website.